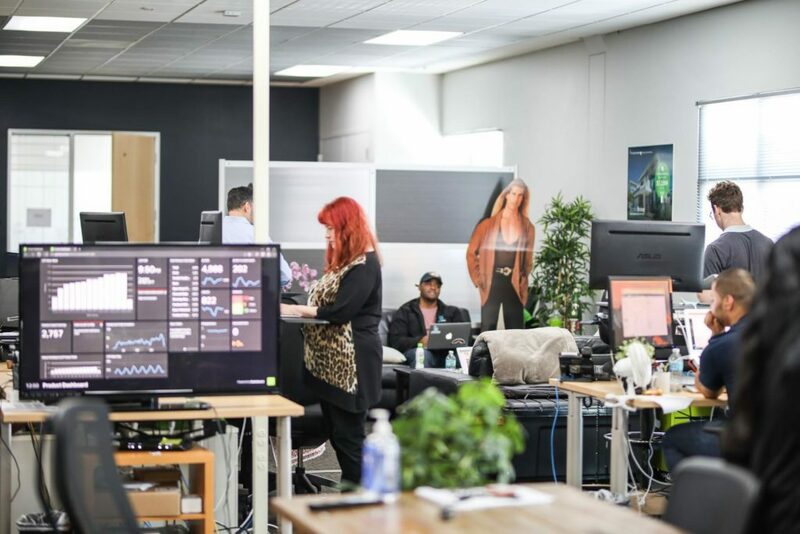 From pop culture to real life, office workspaces have gotten a bad rap — dull wall colors, uncomfortable desks, a bland lunch room and the lone water cooler in the corner come to mind. But, lately, companies have begun to tap into the power of a bright and creative workspace that makes coming to the office, dare I say, fun? RealScout, an industry tech player that provides brokers and agents with a collaborative, branded home search experience, has never had a problem with creative thinking, but it takes the inspiration factor seriously in its newest workspace that includes mod phone booths for conference calls, a shuffleboard table, a mini brewery and cool desks where employees can sit or stand. “Just like brokerages, RealScout works hard to be competitive and attract and retain the best talent,” says RealScout CEO Andrew Flachner. In October, RealScout announced $7M in funding led by new investor Drew Oetting of Formation 8. 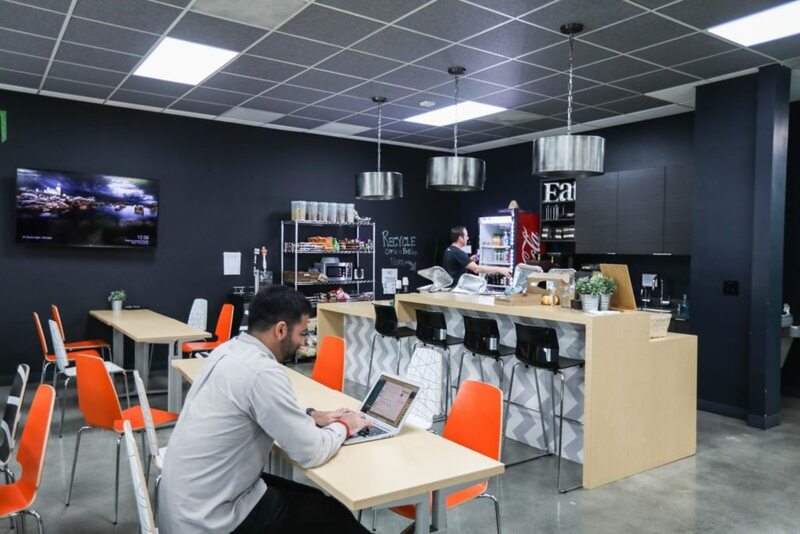 RealScout’s kitchen is shared with another technology company in the same workspace. Gourmet coffee and breakfast, healthy snacks and catered lunch are available for RealScout employees and guests. RealScout’s lounge and Sales/Marketing departments. In the foreground, a dashboard with RealScout key performance indicators. 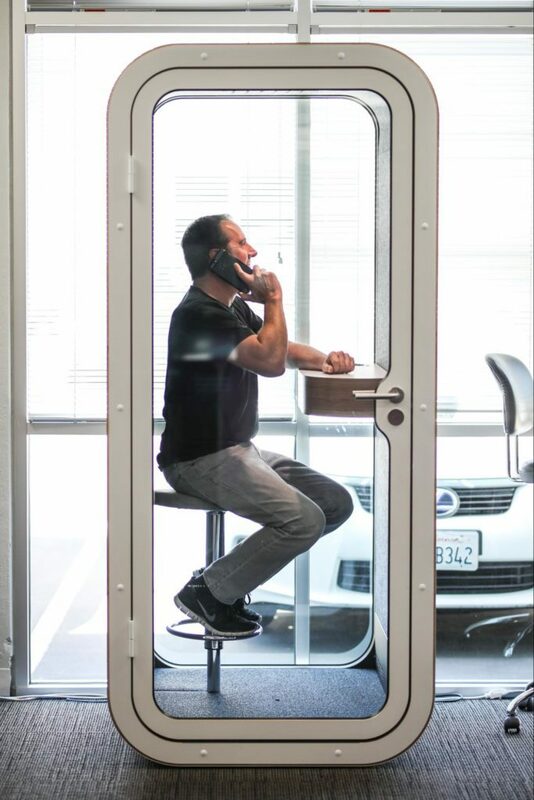 RealScout uses phone booths as an alternative to requiring additional conference rooms. Each booth has a light, power outlet and ventilation — plus it’s completely insulated from outside noise. 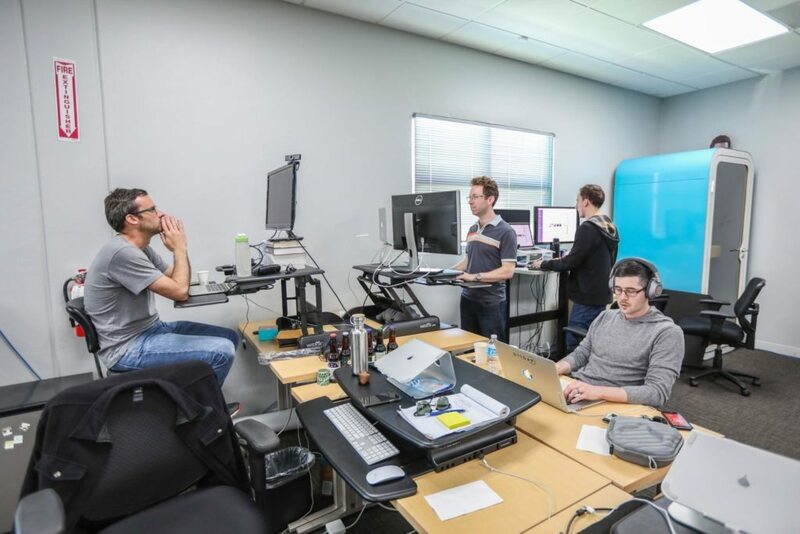 Flexible workstations allow for easy transitions between sitting and standing. 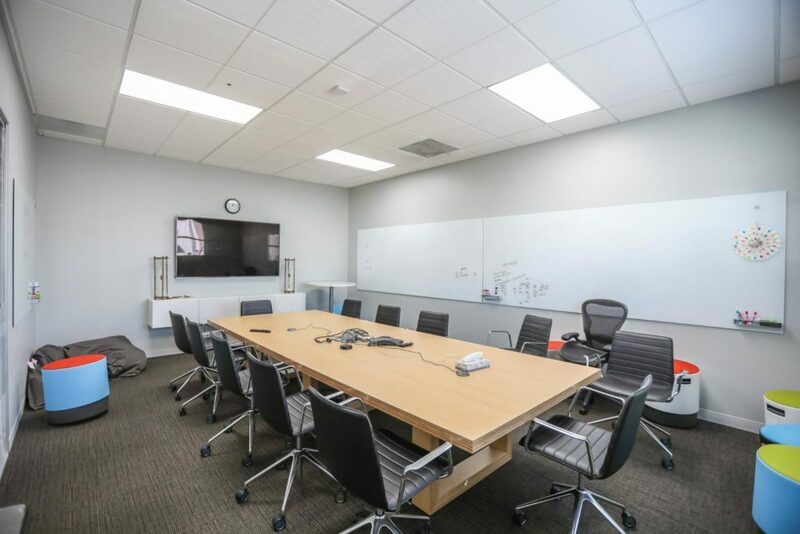 RealScout’s boardroom is spacious and has “Buoy” chairs designed for better posture and to keep the team moving. 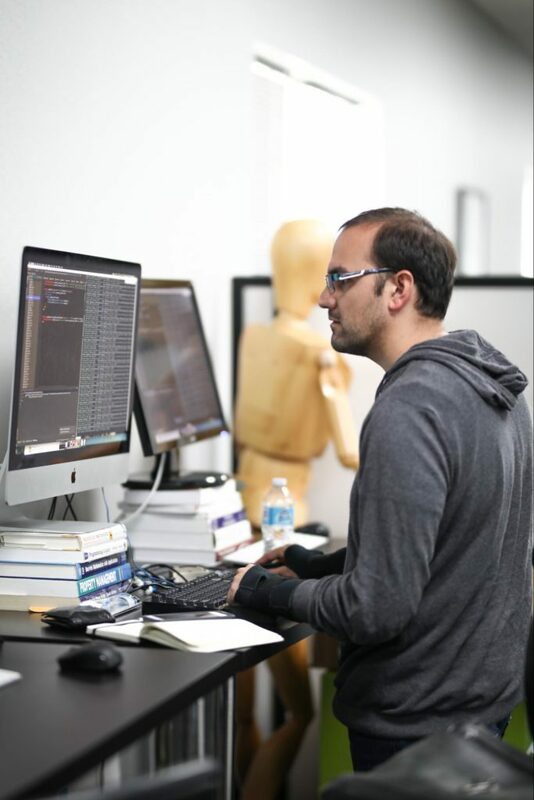 RealScout Co-founder and CTO Michael Parikh works on a workstation designed for Pair Programming, an engineering technique where two engineers write code from a single machine and two mirrored displays. 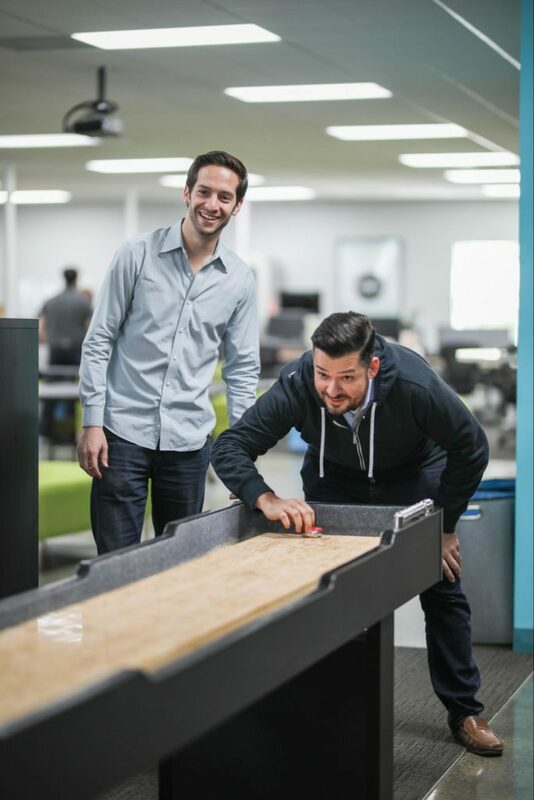 Some friendly competition at the company’s shuffleboard table. 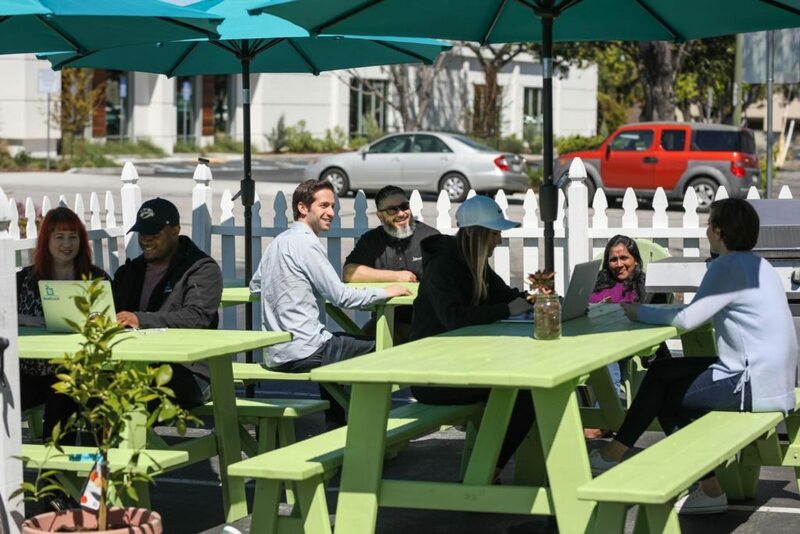 The outdoor backyard, where employees can catch some sunshine, conduct a one-on-one or gather for a company barbecue. RealScout brews its own beer to celebrate major milestones at the company. 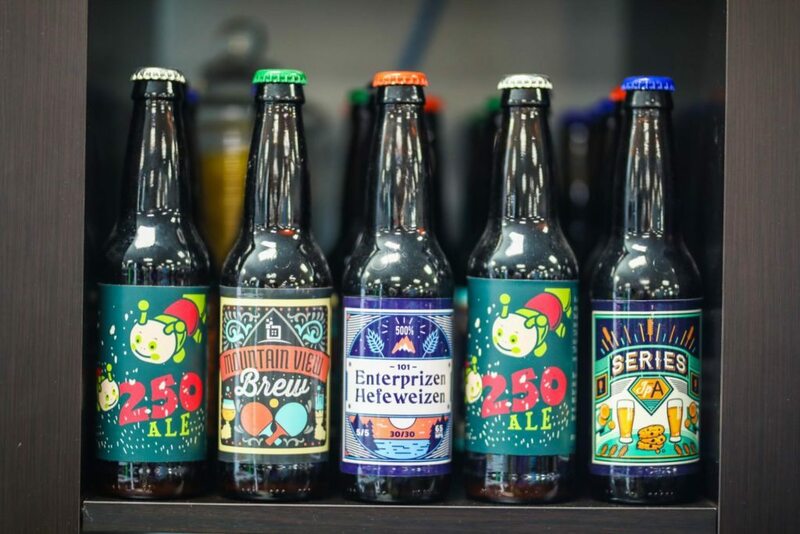 Among the collection is Series IPA to commemorate RealScout’s $10M Series A and Enterprizen Hefeweizen to mark the Company’s recent shift to a focus on brokerage partnerships. The company is leasing the new space and declined to share the cost of the project. All photos are courtesy of Planomatic.